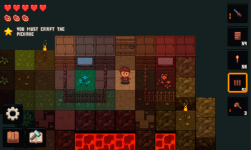 This is the game about craft and survival. 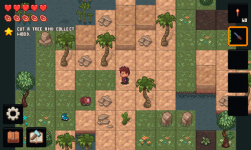 Yes, I know that it looks like another one minecraft clone. But I am just going to build my own pixel world with my own rules and creatures. If you don’t like Survival mode, you can turn off monsters and hunger in the settings. In the upcoming major update you will find underground locations where you can risk finding something really valuable. How can I get it on windows? This actually looks good and well made. Did you make the game engine on your own? Hi! Yes, it has own game engine.